Sound track generated from sounds of a defective hard disk. 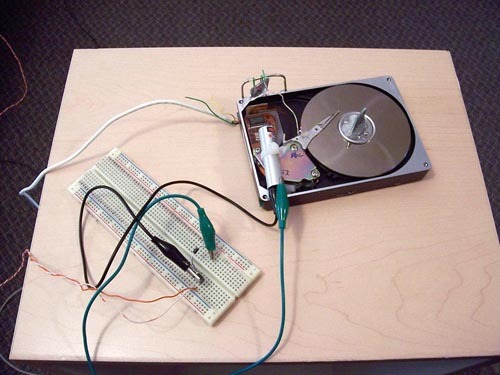 A sensor is placed on the hard disk that records sounds like vibrations. By Gregory Chatonsky. MP3.